RIT Dubaiâ€™s new campus at the Dubai Silicon Oasis will accommodate up to 4,000 students and will open in two phases, with the first set to open and 2019 and the second to open in 2023. 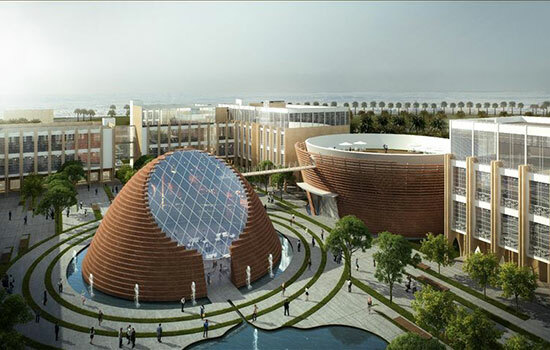 RIT Dubai will receive a state-of-the-art new campus in the Dubai Silicon Oasis, officials from the United Arab Emirates announced Monday. The new campus, which will feature an innovation and entrepreneurship center and sustainable building processes, will be developed in two phases, with the first portion set to open in 2019 and the second to open in 2023. 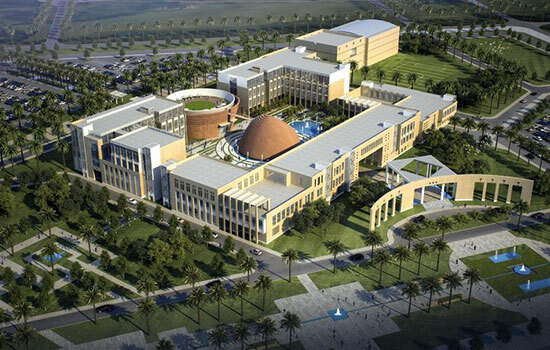 The UAE government is funding the approximately $136 million new campus which, upon completion, will span an area of more than 30 acres. Since launching in 2008, RIT Dubai’s enrollment has grown steadily. In the fall, RIT Dubai enrollment reached a record 588 students, but the new campus will be able to accommodate up to 4,000. The grounds will feature academic spaces, a student housing area as well as a centrally located interactive learning courtyard that includes an innovation and entrepreneurship center. Plans include spaces for the School of Electrical Engineering and Computing, the School of Mechanical and Industrial Engineering, the School of Science and Liberal Arts, and the School of Business and Management, as well as administration, facilities and operations, a library commons and an auditorium. For more information about RIT Dubai, go to https://www.rit.edu/dubai/.